Lock in a great price for Alison House Hotel – rated 8.9 by recent guests! Friendly staff and close to good restaurants. Grounds were peaceful. We were upgraded to the Arkwright Suite which was lovely. The room and en-suite were of generous portions although we would have preferred a proper shower not a bath ( albeit posh) attachment to the bath. The bed was comfy and the room temperature perfect. Breakfast was freshly cooked and generous. The staff were very friendly and helpful especially regarding my parents who are elderly and have mobility issues. Its the only site I've been on via Booking.com which offeres its disabled access rooms as an option something your other users could take good note of. Really good situation for walking - right in heart of Derbyshire - straight from hotel. Lots of quiet peaceful space in hotel and really liked the gardens and the proximity (walking distance) to all local tourist attractions about Arkwright which are worth a visit.. Breakfast was good. Alison House Hotel This rating is a reflection of how the property compares to the industry standard when it comes to price, facilities and services available. It's based on a self-evaluation by the property. Use this rating to help choose your stay! Set in the Derwent Valley World Heritage Site, this recently renovated 18th Century country house is the ideal base for those wishing to explore the beautiful Derbyshire countryside. With an AA 4-star rating, Alison House Hotel has tastefully decorated rooms with attached bathroom with TVs and tea/coffee making facilities. The elegant restaurant overlooks the garden and uses locally sourced ingredients to offer a classic British menu and an extensive wine list. The Peak District National Park and Gulliver's Kingdom are both less than 2 miles away. Chatsworth House is a 20-minute drive from the property. When would you like to stay at Alison House Hotel? Comfortable and tastefully decorated, these rooms with attached bathroom all include free Wi-Fi access, flat-screen TV, tea and coffee making facilities and free on-site parking. These cozy rooms with attached bathroom include free WiFi access, a flat-screen TV, a hairdryer, tea/coffee making facilities and free on-site parking. These spacious rooms with attached bathroom are comfortable and elegant and all include king-size beds, free Wi-Fi access, flat-screen TV, a hairdryer, tea and coffee making facilities and free on-site parking. Please note that pets are not allowed in Deluxe Rooms. This ground floor room has a wet floor in the bathroom plus grab rails near the toilet and sink. 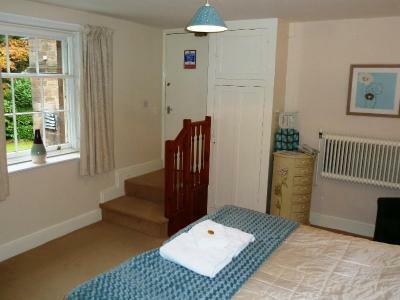 There is also a ramp available in the room so wheelchair users can get into the bathroom. House Rules Alison House Hotel takes special requests – add in the next step! Alison House Hotel accepts these cards and reserves the right to temporarily hold an amount prior to arrival. Monday to Saturday: from 18:30 to 20:00. Sunday: from 12:00 to 14:00. Pets are only allowed in ground floor rooms only. No pets are allowed in Deluxe room types. Everything was lovely. Everything to like. It was in a beautiful location. The breakfast was delicious and the dining room was magnificent. It was a short walk to pubs and restaurants but far enough away to enjoy the peace and quiet of the country. It was lovely walking around the gardens after breakfast. Staff were very helpful. The breakfast was very good, hotel grounds beautiful, easy walk into Cromford. Roads very busy, surrounding area very popular. The drawing room needed to be bigger as lots of people wanting to be in there due to weather turning cold and not enough space. Beautiful gardens and lovely big bedrooms. Staff were very friendly and they couldn’t do more for us. Breakfast was good. Room size was lovely and seemed clean. 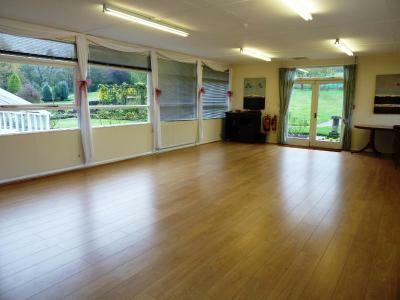 Great location with gardens kept nice. We did have trouble getting on the wifi. We have stayed here twice now and will certainly be back if we are working in the area again. 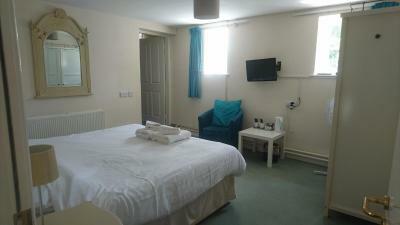 The staff are very friendly & welcoming, beds very comfortable and our room had a lovely view over the gardens. Dinner was excellent.